Just because winter weather is on its way out doesn’t mean your clients’ hands no longer need serious protection from drying and cracking. 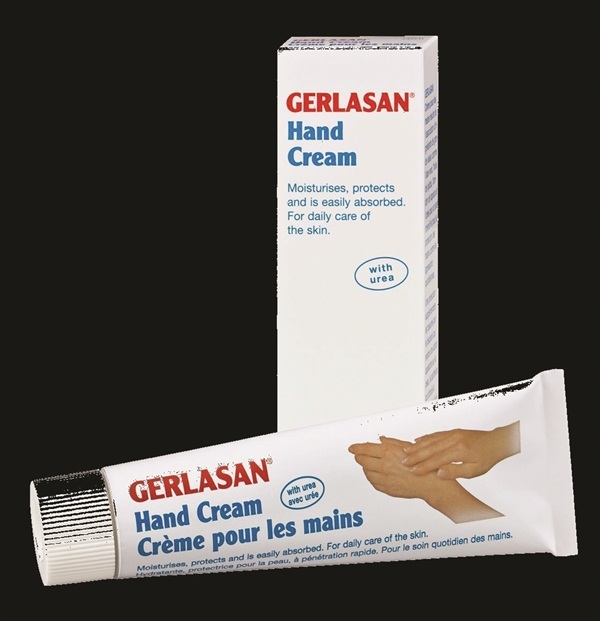 Gerlasan Hand Cream from Gehwol leaves hands silky soft thanks to four skin-moisturizing ingredients: urea, glycerin, aloe vera, and tapioca starch. The aloe vera supplies moisture, urea binds it in and between skin cells, glycerin draws moisture from deeper skin layers and stores it, while tapioca starch has a similar effect. Suitable for diabetics, the formula includes panthenol, which promotes healing, and bisabolol, which also promotes healing and has an anti-inflammatory and disinfecting effect.